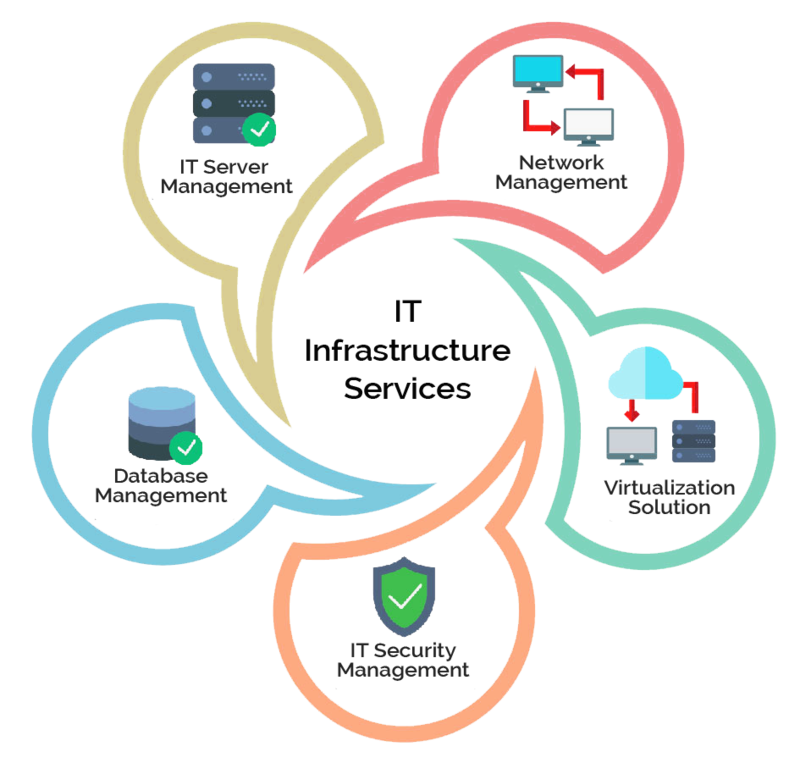 IT Infrastructure Management Services of Senrysa Technologies take into account the various loopholes of business operations and provide optimized business processes that meet the business’s needs with utmost efficiency, thus, ensuring high IT performance. A proficient IT infrastructure providing end-to-end offerings to customers on business security and service-based solutions are build to improve the all-inclusive productivity. We provide secured IT data centers for a cutting-edge data infrastructure. The data centers, especially the enterprise data centers help to keep the IT operations running. Moreover, it augments better control of the assets of the data center, hence, minimizing the risks and improving the agility. The cost-efficient and effective delivery of services is the end result of a well-organized systematic data center management that is equipped with technologies and cloud solutions. For any business, security stands as the paramount priority. The more enterprise data expands, on the contrary, the threats increase exponentially. Our security solutions have a full backup of knowledge of extensive threats and security requirements, resiliency requirements, latest threat vectors and measurement alongside leading cybersecurity technologies. Senrysa’s Security services include all-inclusive security and threat management solutions. Our cybersecurity ecosystem performs monitoring, investigating, identifying and evaluating each and every Security Management Systems to ensure the security of infrastructure, framework, assets, and data. A proper network infrastructure is one of the most prioritized pillars of modern business operations. The digitalization alongside the implementation of cloud technology is what modern business must incorporate with their network solutions. Senrysa’s IT Infrastructure Management Services for Security Management ensures a robust, secured, flexible and scalable network, by focalizing on the strategy and implementation on network applications. Senrysa’s wide network services modify the network infrastructure according to the leading technologies that provide the most fitting solutions. Our technologies enhance the real-time communication and automation to a much more efficient and effective level. Functional and effectual Operation Management is what fetches a modern business maximum profitability. Operation services is an integral part of IT infrastructure Management Services that are designed to optimize the output.